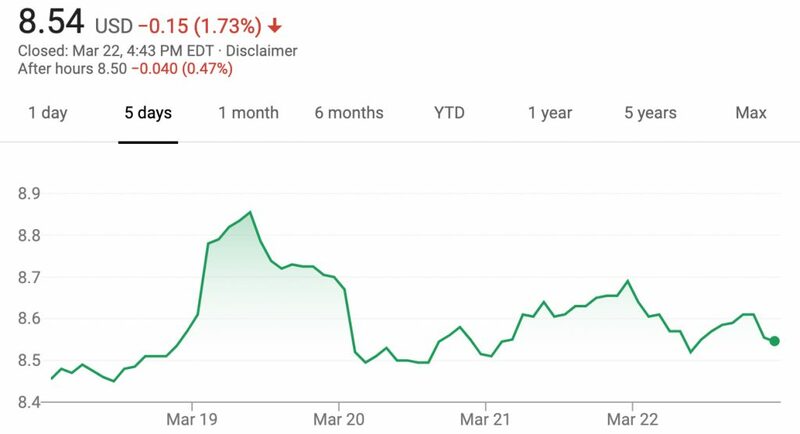 The value of Ford stock rose during the March 18th, 2019 – March 22nd, 2019 timeframe, closing the week at $8.54 per share. The movement represents an increase of 1.3 percent or $0.11 per share compared to last week’s closing value of $8.43. Overall, it wasn’t a particularly notable week for Ford shareholders. In fact, investors may feel a bit relieved considering the fact that Friday was the worst day for the market so far this year since January 5th. By comparison, shares of Fiat Chrysler Automobiles fell $0.13 this week, while the value of GM stock fell a more pronounced $1.63. We remain interested in seeing how Ford stock fairs in 2019 given the recent decisions by the automaker to optimize its business for the long-term by discontinuing all sedans and focusing on more profitable crossovers, SUVs and pickup trucks in the North American market, while at the same time beginning to invest heavily in very costly autonomous vehicles and technologies.